Do you know the number-one reason people come to their doctor this time of year? If you’re sneezing or coughing as you read this, you already have a pretty good idea: respiratory illnesses are the chief reason for doctors’ visits. 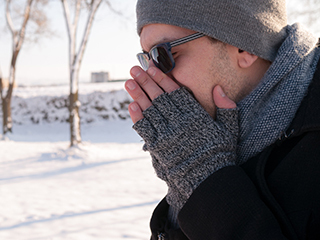 Some respiratory conditions are fairly mild, but others can be life-threatening. And cold weather can make them worse. You are probably most familiar with the common cold and seasonal flu, which are prevalent this time of year. Caused by viruses, colds and flu have respiratory symptoms that may include runny nose, congestion and cough. Symptoms can usually be treated with over-the-counter medications, but your doctor may prescribe antiviral medications such as Relenza® or Tamiflu®. You can also reduce your chances of getting the flu with an annual vaccine, available at MPCP offices. Pneumonia is an infection that inflames the air sacs in one or both lungs. The air sacs may fill with fluid or pus, causing cough with phlegm or pus, fever, chills and difficulty breathing. A variety of organisms, including bacteria, can cause pneumonia. For treatment, your doctor may prescribe antibiotics, which are often effective. Bronchitis is an inflammation of the lining of your bronchial tubes, which carry air to your lungs. Bronchitis is very common and often develops from a cold or other respiratory infection, or is caused by smoking. People with bronchitis often cough up thickened mucus, which can be discolored. Bronchitis may be either acute or chronic. Acute bronchitis usually improves within a few days, and can be treated with rest, drinking lots of fluids, avoiding smoke and fumes, and possibly a prescription for an inhaled bronchodilator and/or cough syrup. However, if you have repeated bouts of bronchitis, you may have chronic bronchitis, which requires medical attention. In some cases, oral steroids to reduce inflammation and/or supplemental oxygen may be necessary. Asthma affects people of all ages, but it often starts during childhood. It is a chronic disease that inflames and narrows your lungs’ airways. Symptoms of asthma include bouts of wheezing, chest tightness, shortness of breath and coughing. Most people who have asthma have allergies, but some people develop asthma because of contact with chemicals or industrial dusts in the workplace. Doctors treat asthma with two types of medicines: long-term control and quick-relief. Long-term control medicines help reduce airway inflammation and prevent asthma symptoms. Quick-relief or “rescue” medicines relieve asthma symptoms that may flare up. Emphysema is a chronic disease that gradually damages the air sacs in your lungs, making you progressively more short of breath. Smoking is the leading cause of emphysema. See your doctor if you’ve had unexplained shortness of breath for several months, especially if it’s interfering with your daily activities. Emphysema can’t be cured, but treatments can help relieve symptoms and slow the progress of the disease. Your doctor might prescribe bronchodilators to relax constricted airways or inhaled steroids to relieve shortness of breath. You may also need pulmonary rehabilitation to reduce breathlessness or supplemental oxygen. If you have questions about any of the conditions described in this article, an MPCP physician would be glad to discuss them with you. 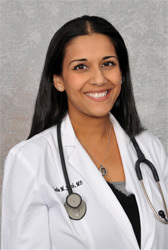 Dr. Sneha Sheth practices in MPCP’s Arundel Mills office and is certified by the American Board of Family Medicine. She received her medical degree from St. George`s University, School of Medicine and completed her residency program in Family Medicine at Robert Wood Johnson Medical Center.